Hello! Im so glad you are here! I am Meg Runion Perdue, a photographer, artist, and wife located in Charlottesville, Va. My life has always been filled with art, photography, gardening, and craft projects for as long as I can remember. My photography inspiration first came from my father; as a child I remember sneaking into the cabinet in our house that held all the old family photos and 35mm slides my father took while he was in the Navy. I was always fascinated with the different people and locations and seemed to get lost in time looking through these slides that held precious snapshots in time of mesmerizing people from all over the world. I would begin to dream of their lives and stories and it was then and there I first understood the power and importance of a photograph. My love continued to grow in high school when I was introduced to the dark room and formal photography training. In class I was always drawn to the assignments to photograph people, I could never get enough of watching and capturing different expressions and ways in which everyone would interact with each other. After high school I went on to receive my BS in biology from James Madison University and was given the opportunity for some amazing experiences in the biology field working for the Forest Service and the US Fish and Wildlife Service throughout the US. While I loved working in the field and studying bio I kept coming back to photography, art, and any diy project I could get my hands on and realized it was my true passion in life. In 2004 I returned to Charlottesville and began my career as a photographer and artist have since photographed countless weddings, families, seniors, and boudoir shoots throughout the US and abroad. After years of being in the industry I was lucky enough to meet and marry the love of my life on September 15, 2012 and gained so much knowledge of what it is like being an bride, planning a wedding, and being on the other side of the camera! I would love to hear from you and learn more about your story. please email (megATmegrunionstudiosDOTcom) or call, 434.249.5589 and lets work toward capturing your beautiful memories! 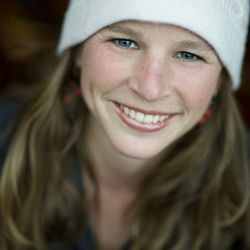 Hi Meg,I’m amazed at your blog,although NOT surprise at what you can do and what you have done. These pictures are beautiful.You Will do great in your new venture on your own. Keep up all the good things and you will do fine. I see you have struck out on your own. My little one Lauren is approaching her first birthday, and I was wanting to get some nice photos of her. I was wondering what the possibilities are. What a beautiful collection of photographs. You depict the natural beauty of your subjects and central Virginia. Your pictures are beautiful! Wishing you the best of luck with everything! Hope to see you soon! GORGEOUS pictures! I want to get married again just so you can be my photographer!